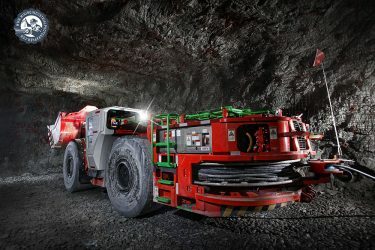 Again I found myself face to face with my favorite piece of mining machinery to date………….the Jumbo. I don’t know what it is about this drill that get’s me excited. I think it’s because out of the countless times I have photographed it I have yet to run out of ideas on how to position it. I would love to have a day of just placing and photographing a jumbo. No shot list, no testing, just me and the Jumbo (and operator) and anything goes. 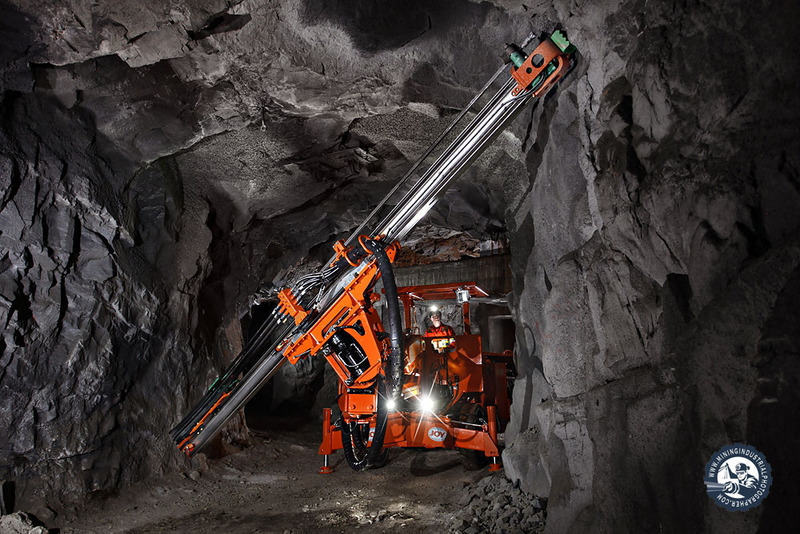 The DR-1SB hydraulic jumbo drill, a single-boom hydraulic rig, is designed for drilling vertical, horizontal and angled holes in underground production or development headings. The DR-1SB has boom coverage of 5.46 m by 5.46 m (17’11” by 17’11”) and inner and outer turning radius’ of 4.19 m (13’9”) and 6.48 m (21’3”), respectively.